It’s “The Festival You Know By Heart!” Visit Oswego this week for PrairieFest, an festival for all ages celebrating 30 years! 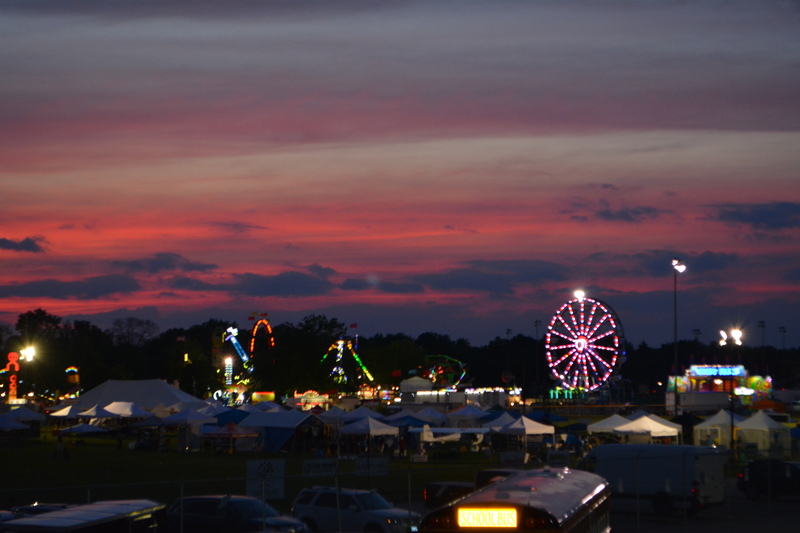 Dozens of local vendors will provide festival-goers a taste of the community through a variety of foods, such as: funnel cakes, pizza, turkey legs, ice cream and even chicken on a stick. Several participating food vendors were featured on the Food Network and Cooking Channel. These include the Oswego Optimist Club, Quality Concessions, Genoa Pizza and Greek Delights. PrairieFest will also put on several events throughout the weekend, ensuring constant excitement. On Thursday, June 14, kids can meet-and-greet with princesses and pirates and the PrairieWinds band will continue their tradition of performing a delightful concert. That afternoon, PrairieFest will offer a two-hour period where families with children who have special needs can enjoy the carnival without flashing lights or loud music. Me Too @ Prairie Fest will slow some rides down and an unlimited ticket costs just $10. On Friday, June 15, PrairieFest-goers are encouraged to donate to a food drive, located at the Oswego Presbyterian Church, allowing an opportunity to not only celebrate, but also serve the community. The weekend also features Miller’s Petting Zoo, the Division BMX Stunt Team and the Windy City Amusements Carnival. Musicians include Blood, Sweat & Tears with American Idol runner-up Bo Bice, who will perform Friday night, and the return of Sugar Ray, performing Saturday. Join the celebration of “The Festival You Know By Heart” from Thursday, June 14 to Sunday, June 17. The event is free admission and free parking is available. Visit prairiefest.com or this brochure for a more detailed schedule of the weekend.